The Aman name is one that evokes the ultimate in luxury (it was mentioned in Crazy Rich Asians, after all), but always in a tasteful and discreet manner. Its reputation came from the many resorts that were built while respecting each unique regions' heritage and an incredible eye for the detail both in service and decor. In celebration of their 30th anniversary, here are five things to know about their very first property, Amanpuri. Built on 100 acres of coconut grove, the towering palm trees that line the steep stairs of Amanpuri are now iconic of the resort. Upon closer inspection, it becomes clear that the property was built around the ancient trees and not the other way around, in a traditional Thai design that echos the Buddist influences of ancient Ayutthaya. A walk down the stairs leads you to a secluded beach front with powder-soft sand and total privacy thanks to the meticulously placed boulders on one side, creating a zen-garden-like view and a long stretch of untouched white sand on the other. 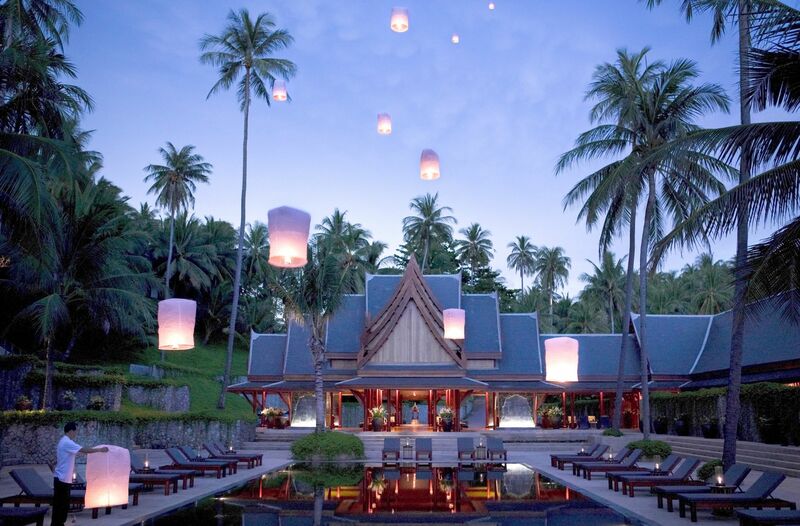 Unlike many resorts featuring a large restaurants with "International" cuisine, Amanpuri is home to three distinct restaurants, one serving Thai, another Italian, and lastly, Nama showcasing Japanese washoku. Amanpuri also collaborated with two world-renowned raw and vegan consultant chefs to launch a variety of menus featuring vegetarian, vegan and gluten-free options so you can stay on your strict diet even on holiday. The dishes are prepared with such fresh ingredients that often even those without vegan inclinations will find themselves intrigued by plant-based options. A discreet team of staff sees to your every need. There is no bill to be signed after every meal simply because they recognize you, call you by your name and know your villa number by heart. If there's anything you need that they don't have in-house (eye drops, for example), they will simply say, "What brand do you prefer? We will go buy it." There is no hovering, nor will you find yourself waving for 20 minutes to get someone's attention. On the 30th of each month, nine monks (an auspicious number) from the nearby Manik Temple will visit Amanpuri for a Tak Bat ceremony. Carried out in the morning, guests can kneel before the monks and provide offerings of food into their bowls. This is followed by a chant and blessing, where guests will be blessed by the monks. On regular days, there are constant activities from cooking classes on how to make dishes like traditional papaya salad, to fruit carving and Muay Thai demonstrations. If you've ever stayed at an Aman resort, you've likely thought about bringing some of their beautifully scented bathroom products home. This year, you can purchase your own. Aman Group launched Aman Skincare with a line of 30 products ranging from argan stem cells, seaweed extract and silk aminos, to essential oils, botanicals, minerals, homeopathic metals, wild-harvested butters and rainforest muds solutions for every skin type, in keeping with their Wellness program which aims to heal the body with grounding, purifying and nourishing properties.